If you’ve been into smartphones for a while, you’ve probably heard of Anker. It’s a company that provides a wide array of phone accessories, from car chargers to protectors, stands, and even quality cables. It has also dipped its toes in portable audio in the past but now it seems to be going all out. 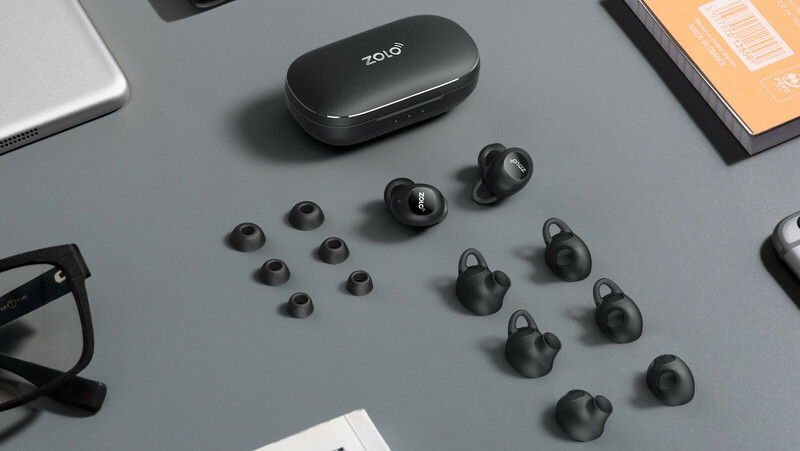 Anker has provided a business incubator for a startup called Zolo, which will be focusing on smart, wireless headphones — wearables, which the company endearingly calls “hearables”. The first product to come out from Zolo is the Liberty+ — a set of wireless earbuds that promises to deliver a lot to its customers. The Liberty+ is a pioneer in a few different aspects. It’s the first wireless headphone setup that utilizes Bluetooth 5 and Zolo promises near-unbreakable connectivity. Why? Because a Liberty+ earbud’s entire framework works as a Bluetooth antenna. It also has the world’s first graphene-covered drivers in a headphone. Graphene is a super-tough material, an allotrope of carbon, which many believe may be heavily involved in the future of tech — from bendable phones to night-vision contact lenses. Zolo promises that it also enhances the sound and while we can’t testify to that yet, we can see how these earbuds would be able to take a beating — graphene is about 100 times tougher than the strongest steel. The headphones also won't get damaged by rain or sweat thanks to their IPX5-rated water-resistance. To make sure that no user will be left out of the party, Zolo has included support for all major smart assistants out there — Siri, Google Assistant, Cortana, and Amazon Alexa. The idea is to be able to speak to your assistant of choice without feeling like you are losing out by not going for a proprietary set of wireless headphones. In-ear headphones are not for everybody as they tend to not play well with all ear shapes. To try and offset this, Zolo made the Liberty+’s tips out of liquid-silicon, which is said to be softer and more adaptable than your regular earbud heads. 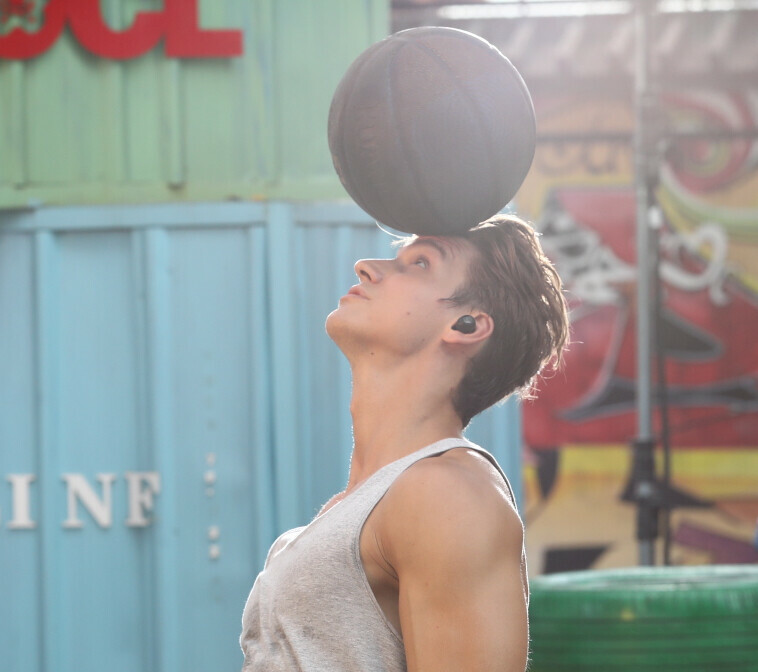 The individual earphones are also built via a patented GripFit technology, which is supposed to keep them locked in place, no matter the intensity of your activity. And while on the topic of activity — we all know the perils of blasting music over headphones when out and about in the city. If you need to listen to the outside world for a while, you don’t need to remove your Liberty+ — just activate the special transparency mode, which will use the earbuds’ microphones to relay outside audio to you. As for battery life, the earphones can hold out for 3.5 hours of non-stop playback. However, their battery case is able to extend that to a full 48 hours. Zolo plans to launch other products in the future — more headphones and speakers in tow. For now, the Liberty+ is offered at $99 in either black or white for early backers over at Kickstarter. Shipments will begin in October of this year and the retail price is going to be $149. Interested? Visit the Kickstarter link below! These look way to close to Samsung's Icon X. Hopefully they will be better. Because the Icon X, though nice, aren't really headphones. They are portable fitness trackers that happen to play music. They have huge pluses, but its biggest con is only 2~3ish usage. Be nice if there could be about 5 hours of usage. I looked at their kickstarter and it stated that it has graphene drivers, bluetooth 5.0, assistant support, and 48 hrs of playtime while have a retail price of around $150. It can be concluded that this is better. Only 3.5 hours of non-stop play? I'll stick with my 8 hours Jaybird X3 + 42 hours Mophie Juice Pack.